There comes a time in you life when you look back and can see the things that have happened over the years and how they have affected you today. Well sometimes you come across someone that is extremely good at seeing those key points, just after talking for only a few minutes. Well David Ralph happens to be one of those people. He even started a podcast where he does just that called Join Up Dots. 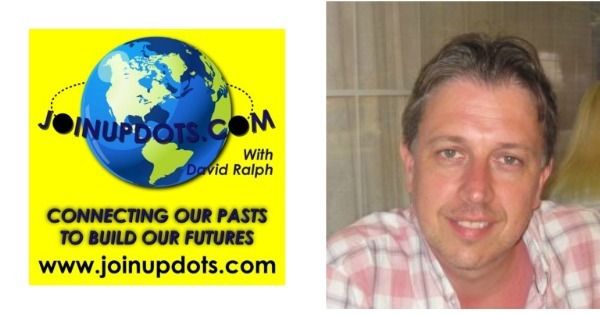 He interviews people and helps connect their Dots and is making huge waves all over the internet. We got to talk again when he interviewed me for his show and we could have talked for hours, if he was not all the way over on the other side of the pond just outside of London. It took us a few tries but I am excited we finally got to do this show ! Click Here to Thank David on Twitter !